Through regional spending and job creation—both direct hires at Sanford Underground Research Facility (Sanford Lab) and jobs generated by large science projects on-site—Sanford Lab has created a ripple of impacts throughout the state. The world-leading research taking place at the Sanford Lab gives scientists from a variety of disciplines a wealth of information about the universe, the geology of the region and life underground. But it also has a tremendous economic impact throughout the region and the State of South Dakota. Through regional spending and job creation—both direct hires at Sanford Lab and jobs generated by large science projects on-site—Sanford Lab has created a ripple of impacts throughout the state. In addition to heavily impacting the local area, Sanford Lab’s effects can be seen across the state. 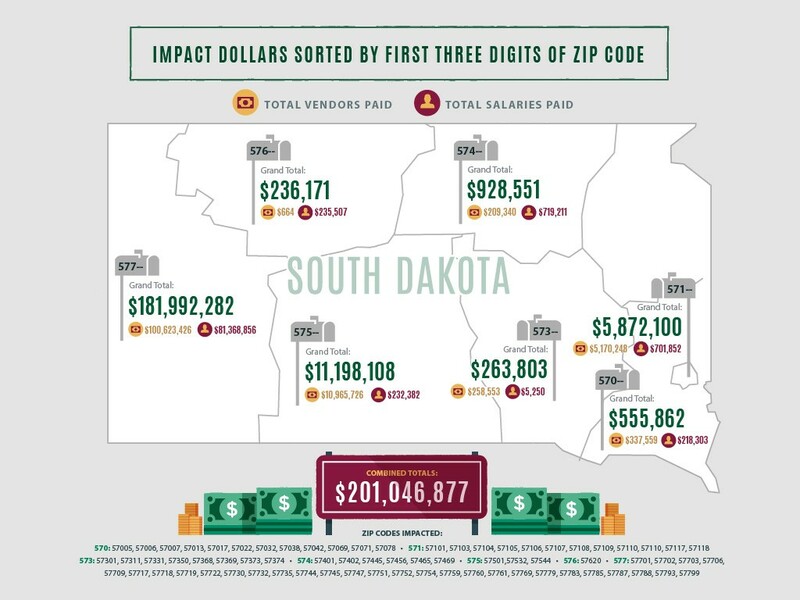 The graphic above details these impact dollars by 3-digit zip code in the State of South Dakota. Sanford Lab’s overall impact on South Dakota’s economy totals more than $201 million in spending since 2008 and includes a $28.1 million total annual budget. A 2016 study, commissioned by Fermilab, found that the total economic output in South Dakota could reach $952 million and create approximately 1,800 jobs at the peak of construction operations. 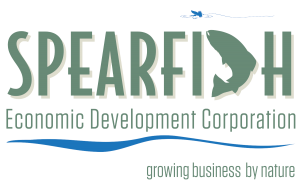 LBNF/DUNE has already impacted the economy of Lead with Fermilab’s South Dakota Division permanent office space and KAJV’s long-term lease to open offices in the downtown sector.